You’re right of course. I should have said “a similar thing” rather than “this”. Your way is neater. Thanks a lot for the detailed post, it was really insightful! I especially appreciated the fact you posted link to resources you used, that’s a must. I tried your way and yes it works! Thanks! But I met this problem while trying to run my test using the chrome web driver, do you have any idea about how to fix this? Have you ever experienced a docker container getting hung up when using a virtual frame buffer? I am trying to dockerize IBM IIB toolkit to build BAR files. The one command I use, runs eclipse in headless mode. I added a entrypoint script that runs the frame buffer in background like this: echo | Xvfb $DISPLAY -screen 0 1024x768x16 & I cant run the virtual buffer in the build from the Dockerfile. Needs to happen at run time. But randomly the container gets hungup and won’t quit. I suspect it is due to a process still running, and I am assuming the virtual framebuffer is the culprit. I have a Virtual-box VM. By ssh’ing into the VM, I run docker image consisting of selenium server within it. Now my selenium server is up and running.I have test script running on Eclipse, in host machine. I need to test selenium against by local browser. How can i do that ?? Can your docker box contain a copy of Windows-64-XP that can run on linux? relatively cheap linux server. I can back up the data, daily and reconstruct the system from daily backups (something MS stopped providing in Home versions of Windows from Vista on). What MS’s response has been is that remote content on Windows can only be accessed and indexed on the remote machine, though your local machine can access remote indices via the included MS-search — which can search through indexed material available on a MS server. (only). So for me, the only thing I try to put on my Windows machine are Windows programs, which can be backed up if they are on the same disk as the Operating System. I.e. : If you have a separate disk for your personal documents and programs, the programs *won’t* be backed up. questions on their Win7 community site is to run a copy of WinXP and run the old Desktop search which does do remote indexing and provides it in the same format as used by the new MS-search. Thus — my want to run a VM – (docker?, other?) on my linux server just for the indexing. Is that possible? Thanks, really useful article ! 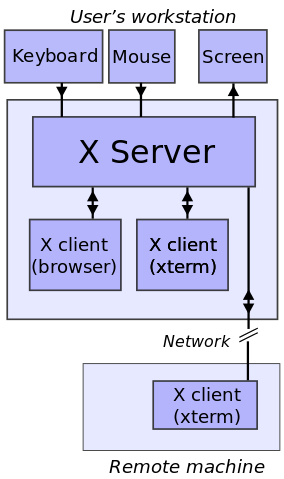 I was struggling to run my chimp tests from within a container and was missing the –privileged option to have chrome running within the container and using Xvfb.